This massive, bright & sunny cottage is just what you need to escape the city and spend your days relaxing on the dock by the river, or kayaking on its peaceful waters. We'll provide the kayak, you'll only need your lifejackets! Note the Wi-Fi is weak in this area and often goes out for periods of time. Treat your stay as a way to escape the hustle bustle and really disconnect. Also NOTE The descent to the water is steep. Adults and older children won't have a problem but those with limited mobility will have difficulties and toddlers will need assistance. Ensure it is right for you before booking. There is no dock, beach or flat area. 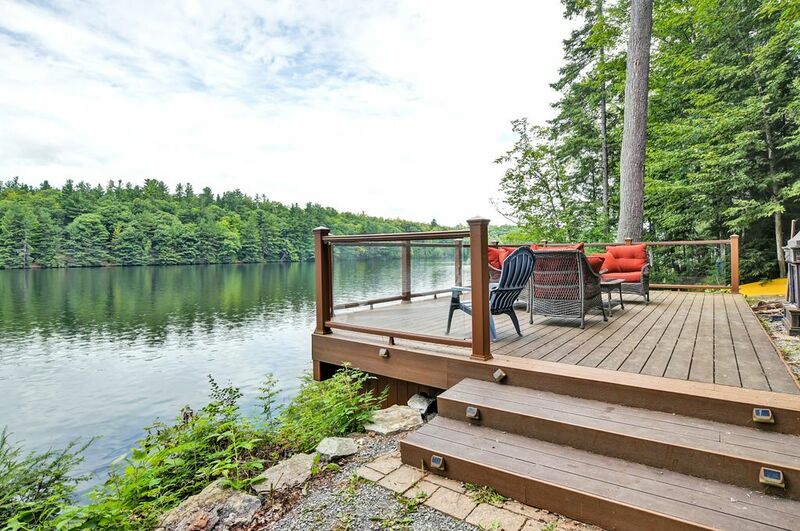 Enjoy a peaceful, complimentary coffee in the morning on the wrap-around deck or down on the dock overlooking the water. Evenings can be spent enjoying the firepit and BBQ'ing down on the deck. You will probably be outside the entire vacation, except for a brief few hours honing your skills at the pool table ;) No TV so you're really appreciate this return to nature, away from the hustle and bustle of the city.